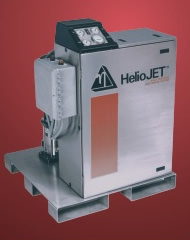 HelioJET® Cleaning Technologies is a manufacturer, supplier and solutions provider of the most efficient, high pressure, hot water cleaning systems in the world. Our patented HelioPAC™ is at the heart of every cleaning system. The HelioPAC combines existing steam and cold water supplies to discharge a high pressure hot water cleaning solution at pressures never before attainable through a device with no moving parts. Read more about HelioPAC technology. Please take a moment to look at the many solutions, and review our Case Studies. Let us know what your needs are and how we can help. We guarantee that our solutions will reduce your costs, save you time and energy, and greatly lower the amount of chemicals you need to do the job.